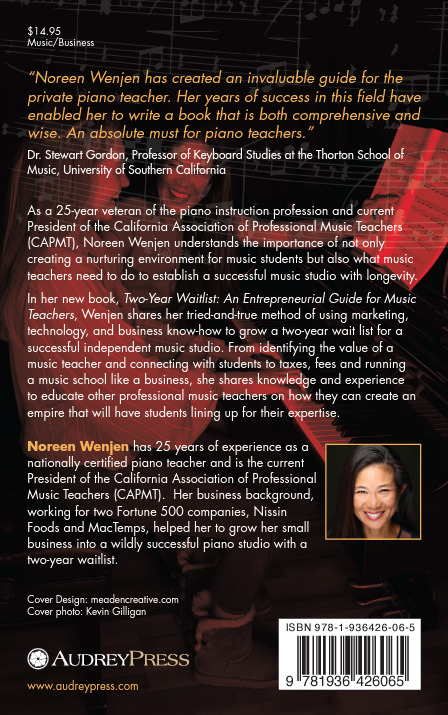 As a 25-year veteran of the piano instruction profession and current President of the California Association of Professional Music Teachers (CAPMT), Noreen Wenjen understands the importance of not only creating a nurturing environment for music students but also what music teachers need to do to establish a successful music studio with longevity. 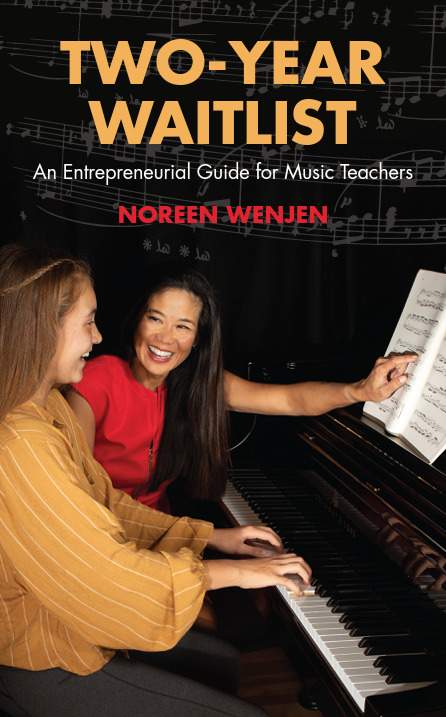 In her new book, Two-Year Waitlist: An Entrepreneurial Guide for Music Teachers, Wenjen shares her tried-and-true method of using marketing, technology, and business know-how to grow a two-year wait list for a successful independent music studio. From identifying the value of a music teacher and connecting with students to taxes, fees and running a music school like a business, she shares knowledge and experience to educate other professional music teachers on how they can create an empire that will have students lining up for their expertise.